Oakland isn't known as a particularly humid city, but Joe Escobar was sweating out the final three Ultimate Street Car Association events, hoping no one would emerge in the GT2K class (under 3,000 pounds) to unseat him from atop the season-long standings. 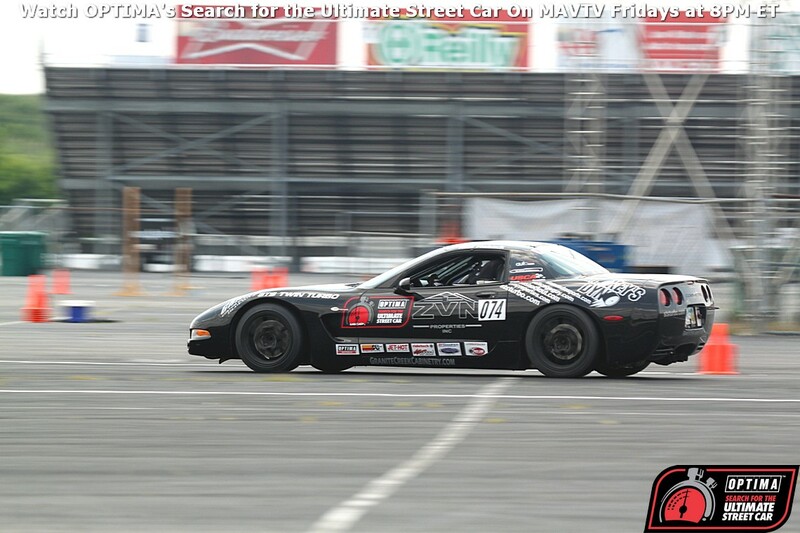 Brad Yonkers came close in his 2002 Chevrolet Corvette, but Joe was able to hang on and claim the USCA regular season title and a trip to the SEMA Show and the 2014 OPTIMA Ultimate Street Car Invitational, presented by KN Filters. However, that doesn't mean Yonkers was left on the outside looking in. Brad made his first appearance at the USCA event at Michigan International Speedway, where he had a strong performance in a solid field of competitors, but was edged out by Andy Smedegard's Honda S2000 for the win that day. Undeterred, Yonkers re-grouped and went to Pittsburgh, where he was able to top a field that included GT2K heavyweight Rob MacGregor and a 2007 Corvette driven by James Forbis, earning his invite to Las Vegas and the OUSCI. Had he run a third event, Yonkers would've likely passed Escobar, but as it stands, both made it into the big show and are happy to be there, although that's where the real fun begins. "Since winning the final USCA event I've been frantically scrambling to complete a list of modifications, which I had planned to do over the winter off-season," says Yonkers. 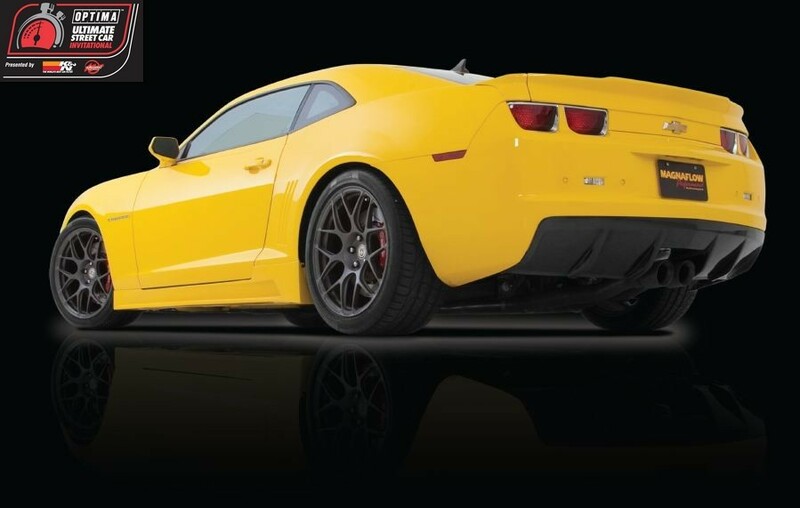 "I've installed a new KN cold air intake and had my LS6 tuned for better overall power under the curve. I've also added a Wilwood big front brake kit, which I'm hoping will give me more fade resistance in the BF Goodrich Hot Lap Challenge, but also help my Wilwood Speed Stop Challenge times (which were already tops in his class in both USCA events he attended)." Additionally, Brad has also added a harness bar, racing harnesses and a matching passenger RECARO seat. 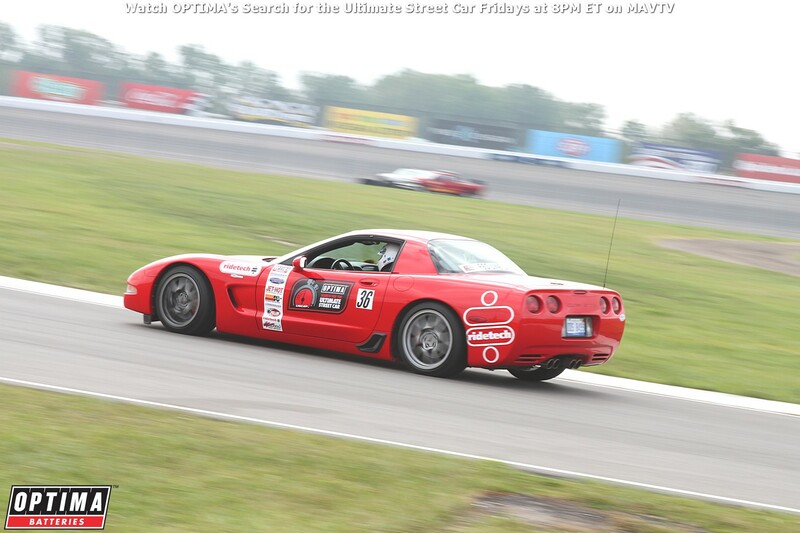 While the harness bar will help hold him in place on the track, he's really hoping the extra modifications will help improve his score in the Lingenfelter Performance Design Engineering Challenge, which has been his weakest event. Aside from making his car better, Yonkers has also been upgrading the nut behind the wheel, which he thinks is the most important modification. "I've been using a Traqmate GPS data acquisition system and attending as many Furrin Group autocross events as I can, to help ensure I'm as good as the car," says Yonkers. Brad estimates his car will be one of the lower-powered cars at the event with 385 horsepower at the wheels, even with the addition of XS Power long-tube headers. He also expects the car to weigh in at right around 3050 pounds, thanks to the extra weight from the safety equipment he has added. Brad has never been to Las Vegas before, so his visit to the Las Vegas Motor Speedway will be a completely new experience for him. "I've been trying to prepare by watching YouTube videos of the track and reading track notes/advice from others who have been there in the past," says Yonkers. "I think LVMS is the perfect track for the OUSCI, because from what I've seen/heard it equally favors cars that can handle corners and the tricky infield section quickly, while having enough power to not lose any time on the straightaway sections. That said, I think the technical portion of the track will outweigh the horsepower sections, so the driver who is most in tune with their car and it's limits, that can consistently win or do well at all the events will have the best shot." Brad is realistic about his own chances of winning, but he's definitely looking forward to competing. "My goal for this season was never to win in Vegas and I really don't think I have a chance," says Yonkers. "My goal was merely to win one of the qualifiers and earn my invitation to the OUSCI. Now that I've achieved that, I am shooting for a top-25 finish, but I know how incredibly hard that's going to be with all the amazingly-talented drivers and cars that will be in attendance." We've heard Danny Popp's name mentioned quite a bit as a favorite to win, but Brad is going a different route. "I'll be rooting for Terry Fair to win it all," says Yonkers. "As a past BMW enthusiast, I've always liked watching all his builds and he's a new guy to the OUSCI like myself. I think it's likely the winner will be someone whose car was dialed in from the start of the season and not someone bringing a drastically different/modified setup from what they've run at other events this season." Whatever goes down at LVMS, Brad sounds like he'll be ready to enjoy it and you shouldn't miss out either. OUSCI tickets are available online and the first 1,500 fans even get a free event t-shirt! You can also follow Brad's adventures in social media through Top Hat Racing on Facebook and klodkrawler05 on Instagram. He would also like to acknowledge the assistance of Downs Custom Performance Automotive, ZZPerformance, Wilwood Disc Brakes and all the staff involved with the USCA for putting on these amazing events. We're glad he likes them and we hope to see you out there soon in your car!